Roundtable Contributors: Estelle Hallick (This Happy Place), Alan Mize, Melissa Sue Sorrells Galley (Mouse on the Mind), Blake Taylor (BlakeOnline.com), Andrew (Disney Hipsters Blog)and yours truly. This spring, Animal Kingdom will begin a new, Park-wide, interactive game themed to the Wilderness Explorers program that Russell is part of in the Pixar film Up. It is expected to be similar in style to Sorcerers of the Magic Kingdom and Agent P's World Showcase Adventure. A less-elaborate Up adventure game was tested in Animal Kingdom last year, and it must have been viable enough in Disney's eyes to develop a permanent version. It sure will be grand to have something new to do in Animal Kingdom for a change. Correct me if I'm wrong, but I think the only new additions to the Park since Finding Nemo: The Musical opened in 2006 have been the Yak & Yeti restaurant, Wild Africa Trek (which has an extra cost separate from Park admission), and the slight story alterations to Kilimanjaro Safaris. That sorely pales in comparison to what Animal Kingdom's three siblings have introduced in that same timeframe. While big things are ahead with Avatarland on the way, I'm so glad that Disney is not content to simply wait until Avatar to roll out anything new. 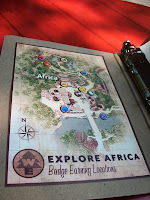 The Wilderness Explorers activities should be great fun, and an excellent way to appreciate the little details of Animal Kingdom that might otherwise be overlooked. And besides, it will give us all a legitimate reason to use "#cacawrawr" in our tweets. This week, Disney Parks Blog announced that the "Wilderness Explorers" are coming to Disney's Animal Kingdom! If you've ever seen "Up," you'll recall that Wilderness Explorers is the name of the Boy Scouts-analog that Russell is a member of. 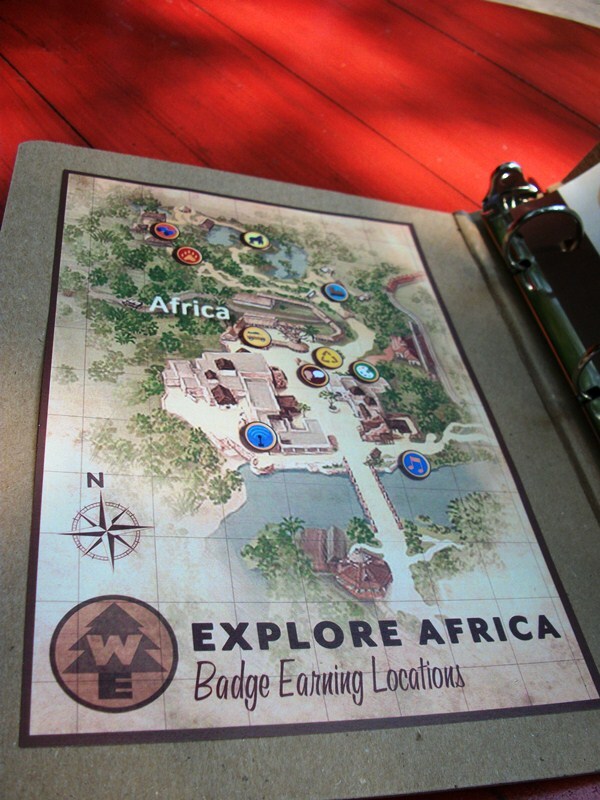 Disney indicates that there will be more than 30 opportunities around the Park to earn Wilderness Explorers badges, which makes me SUPER EXCITED to start earning and see what's new and what's fun with this potentially very exciting new attraction. Earlier this week, Disney held an event at the El Capitan theatre in Los Angeles to announce the future of Disney video games, Infinity. Set to be released in June, Infinity will be a gaming experience that will allow players to essentially create their own video game. Similar to the “Skylanders” franchise, players place a figurine of a Disney character onto a platform that will be linked to their gaming device, and that figurine becomes a playable character on their television set. That character is controlled by the player and can interact with various environments and other characters that can also be selected by the player. The system is geared to allow the player to make up any scenario that they can imagine. Based on the information I’ve seen, the possibilities really do seem limitless. I have never personally experienced the Skylanders franchise but I do know that it is extremely popular. Add in the fact that Infinity will include Disney characters and environments, and this has the potential of being an extremely lucrative game for the Disney Company. As successful of a company as Disney has been over the years, one place I feel they have fallen somewhat short in is video games. I can count on one hand the number of great video games that Disney has put out. Infinity could definitely change that. I’m looking forward to the release of this game so I can experience it firsthand. It’s a shame that Disney went ahead and cancelled the 3D re-release of The Little Mermaid that was slated for the fall. Out of all of the previous releases, it was probably the one I was most excited for because I never got to see it in the movies when I was a kid. But after handing over way too much cash for sub-par 3D showings of The Lion King and Monsters Inc., I would be more than satisfied if the company saved its money and just re-released the movie as is. I’m not sitting in a movie theater looking for the 3D details; it’s always more about seeing the movie itself in a place that wasn’t my living room. Even when I have the opportunity to see new releases in 3D or 2D, I always opt for the latter. It’s easy on the eyes (and my glasses) and it doesn’t burn a hole in my wallet. Truthfully, I’m looking forward to discovering a few NEW favorites in the upcoming years. I am newly devoted to Innoventions. After discovering The Great Piggy Bank Adventure and Sum Of All Thrills I can now spend a large part of my day in this pavilion, where I previously would walk through it on my way to Club Cool. So I was super excited to see that THINK, a new exhibit sponsored by IBM would be opening. Where the Piggy Bank Adventure is overtly silly (and some might argue that its for kids) THINK is decidedly more grown up. Harkening back to the old days of Epcot, THINK focuses on how technology has helped in human progress. The exhibit features a 12 minute film about progress, 7 foot tall interactive touch screens explaining the latest technologies, and a "40 foot gesture wall." I'm still not quite sure what that last thing is...but I'm super excited for this to have opened. It looks like a terrific addition to Innoventions! 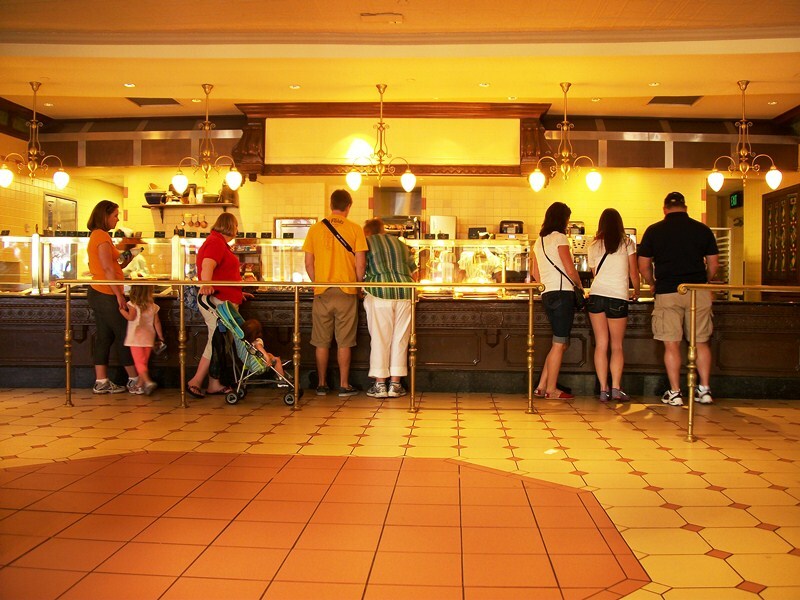 When the Main Street bakery shuttered last week for its conversion to the Main Street Bakery and Starbucks a lot of guests wondered where they would get their breakfast fix. Fear not, just around the bend the Tomorrowland Terrace has set up shop for breakfast! The menu includes beneigts, yogurt parfaits, mini waffles with fruit toppings, oatmeal, and a host of other goodies. 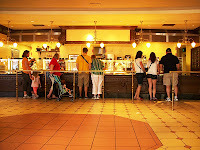 The Terrace itself also comes equipped with a much larger seating area to hold all of the patrons that the Main Street Bakery had problems finding space for. In case you were confused, the breakfast items found at Tomorrowland Terrace were not present in the recently closed Main Street Bakery. My hope is that the Magic Kingdom is testing the waters with these new offerings and those that are successful will be added onto the new menu once the Main Street Bakery reopens later this year. As for the additional seating provided by the Tomorrowland Terrace, well, there is only so much you can do with the eatery on Main Street.